These inspiring words from Anne Frank ring true, especially today. You can find this quote and several others made by inspiring women on Winona’s new Women in Business website as they are a reminder to us all that we can do more than we ever thought possible. At Women in Business, women in all professions come together to celebrate one another, create lasting friendships, and build connections with each other. For nearly 30 years, Women in Business has been supporting businesswomen by providing opportunities to grow their networks, goals, and their own professional self. The not-for-profit also holds several fun annual events in the Winona Community including their Holiday Boutique Show, and their Annual Cabin Fever Dash supports a local Scholarship fund for students of all backgrounds. 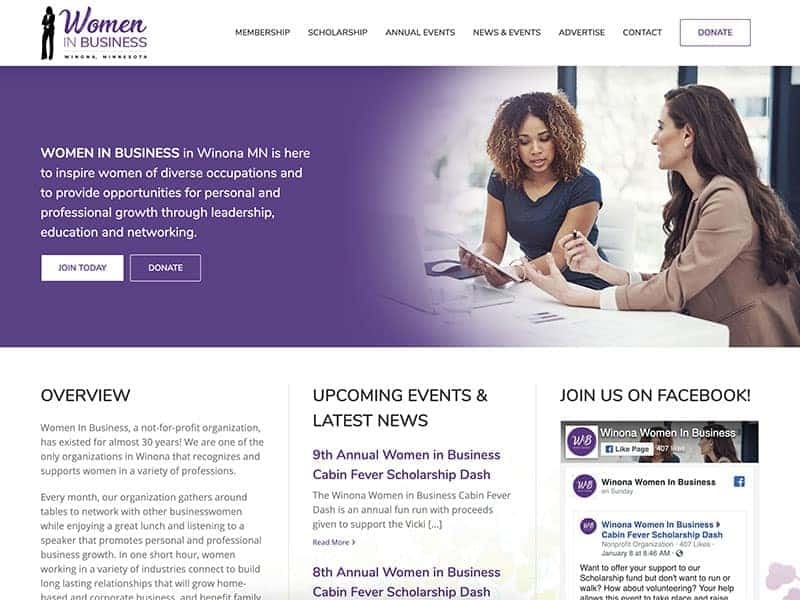 Vision Design values the mission behind Winona’s Women in Business and we are proud to have worked with the organization to design their new website. We created a stunning and professional website that will appeal to new and current members alike. Purple hues gives the website a warm look which adheres to the branding of the organization. The new website will be much easier for the staff to edit and the website itself is mobile compatible to easily fit the screen of tablets and smartphones. Check out the amazing new website here! 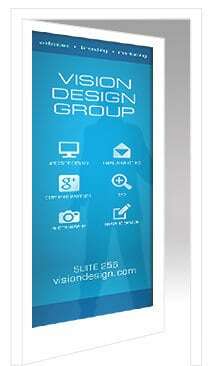 A well-designed website can help catch the eyes of potential new clients and members for your business. Contact us to learn more.